Austria celebrates its Independence Day, the day it was liberated from the foreign forces that took over it after World War II: France, the United States, England and the USSR, on 26 October 1955. Austria is a Central European republic bordering nine countries: Liechtenstein and Switzerland in the west, Italy and Slovenia in the south, Hungary and Slovakia in the east and Germany and the Czech Republic in the north. The capital city of Austria is Vienna and its spoken language is German. Austria is a federal republic consisting of nine countries: Burgenland, Karinthia, Lower Austria, Upper Austria, Salzburg, Styria, Tyrol, Forarlberg and Vienna. After World War II ended, Austria swore to keep its neutrality forever. For this reason, Austria is part of the European Union, but not a member of NATO. The official name of Austria is Republik Öesterreich, which means "Kingdom of the East". Beethoven was not Austrian but German, but he spent much of his life in Austria. 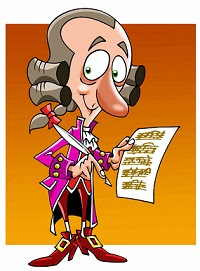 Mozart, on the other hand, was Austrian. So are the composers Haydn, Schubert, and Strauss. Austria is famous for its music. The Eisriesenwelt is the largest natural ice cave in the world. In German, the word means "world of the ice giants". The Austrian flag is one of the oldest flags in the world. The origin of the design of the flag is the legend that in 1191 Duke Leopold V was injured in the battle and his shirt was filled with red blood. When he removed his sword, a white line was exposed in the middle, hence the colors and shape of the Austrian flag. The Schönbrunn Palace ("the beautiful spring castle") in Vienna received its name from the spring that supplied it with water. The water must have had such fresh, refreshing taste that the emperors moved it to their table. In 1552 the Habsburg prince brought back to Vienna from Spain an elephant, but he died in the cold climate shortly after. 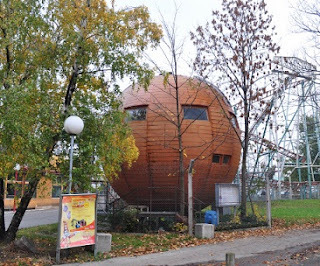 When the artist Edwin Lipburger ran into a dispute with the authorities about building permits for his ball home, he decided to declare independence from Austria. In 1976 he declared his independence in his home in Vienna, Austria, and called it the Kugelmugel Republic. In 1979, Lipburger was arrested and sent to prison for ten weeks. In June 1982, the house was moved to Parter Park near the Hauptallee, surrounded by eight barbed wire fences. The only address in the Republic is "Antifaschismusplatz 2" ("Anti-Fascism Square 2"), which has since been officially adopted by the City of Vienna. Lipburger died in January 2015, but his republic was officially recognized and now has a population of over 650 non-residents. Today the Republic is run by the Government of Vienna and is considered a tourist attraction. The word "Kugel" means "bullet" in German and the word "Mugel" is an Austrian-German term for "bulge" or "hill." Most of Austria is mountainous, covered by the Alps, and a quarter of its population lives in Vienna. Among Austria's mountains there is Grossglockner, the highest mountain in Austria with a height of 3,798 meters. It is characterized by a summit in the form of the vertex of a pyramid. The Krimmler Wasserfälle Falls are the highest waterfalls in Europe (380 meters). After Luxembourg, Switzerland and Scandinavia, Austria has the highest number of Nobel Prize winners per capita (19 in all). The world's largest emeralds (Emerald or Emerald) is presented in Vienna (2860 carats). Despite the bitter experience with the elephant, Vienna is home to the world's oldest zoo, the Schönbrunn Zoo. Austria has the oldest restaurant in the world. 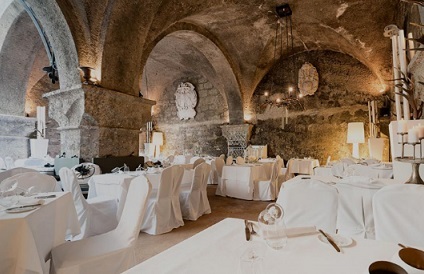 The St. Peter Stiftskeller restaurant in Salzburg is a restaurant / inn that opened in 803 AD, more than 1,200 years ago! The central cemetery in Vienna has more than 2.5 million graves. This is more than the population of the city's life! Not surprisingly, Alpine sports sites (Alpine skiing) are very popular in Austria. 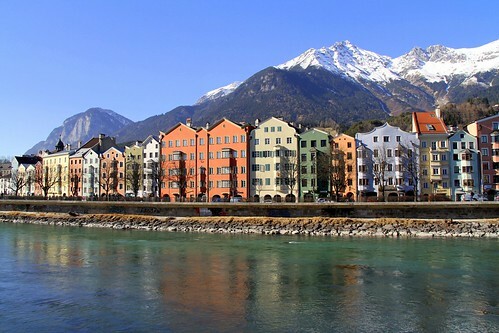 Austria has been ranked continuously for several years as one of the countries with the highest standards in the world and Vienna is almost always at the top of the list of cities with the best quality of life in the world.